Ford EcoSport as already launched in Brazil and has been doing a pretty good job - almost double the sales than its major competitor Renault Duster when it is priced 10% higher than Duster. Will this happen in India too ? Time will tell ! 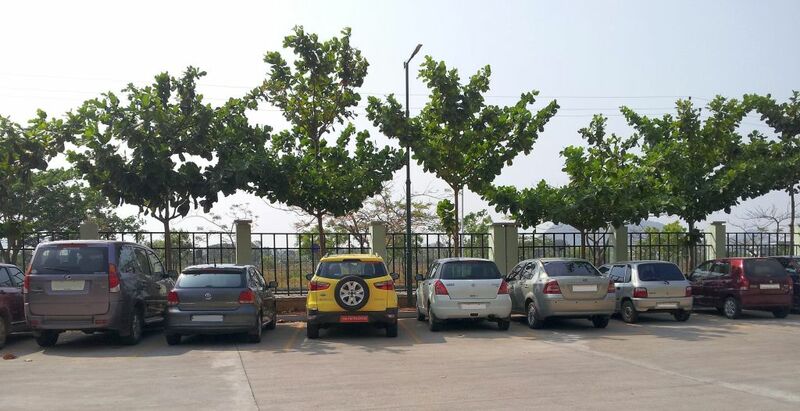 Here are some more images of Ford EcoSport spotted testing but this time being parked alongwith popular hatchbacks - VW Polo and Maruti Swift. The shots have been clicked from all angles which could let you have a feel of how this compact crossover could look when compared to other hatchbacks already available in India and is it worth to spend couple of lacs more on Compact Crossover than the regular hatchbacks. Our response to this is Yes, however we would like you to have a closer look at images and let us know what do you feel about the same. 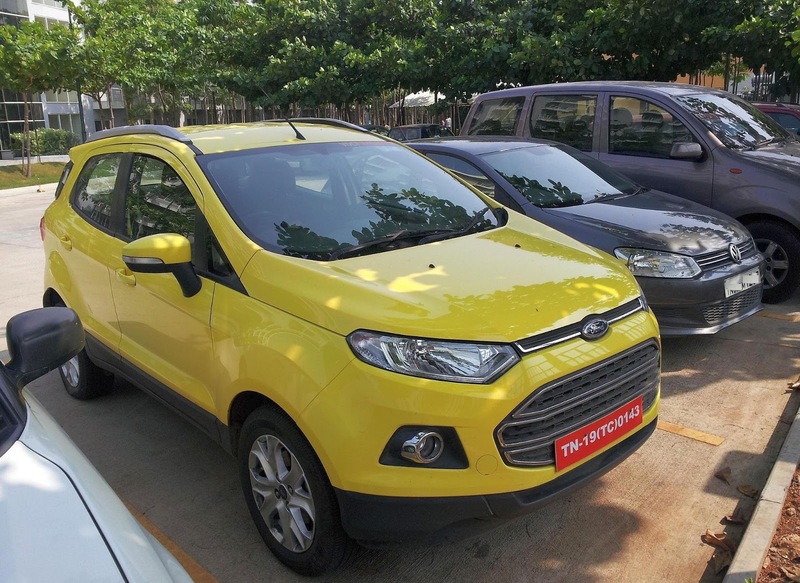 As you are going through this post, Ford EcoSport, is being displayed at some or the other mall in India and is getting itself acquainted with common masses or say prospective buyers. Ford India is also running a contest, "EcoSport Discoveries" wherein 100 winners will get to drive EcoSport for full three weeks even before the launch. Ford EcoSport is expected to launch somewhere in slot between end May or early June 2013. The EcoSport in India will be available in three engine variants - 1.0L Petrol engine, 1.5L Petrol engine and 1.5L DV5 Diesel engine. The Compact crossover will be available in both manual and automatic transmissions with Automatic variants available only on 1.5L Petrol engine options. 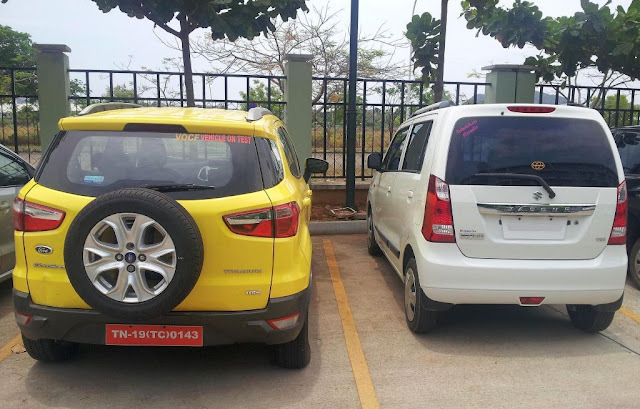 Also, Wheel-O-Mania was first to spot EcoSport at dealership and reveal enough details about it - could be read here. Read more about EcoSport here.